LGBT CHILDREN’S LITERATURE and Communities of Color--A CALL TO ACTION! AS A PEOPLE, WE ARE IN DIRE NEED OF LGBT CHILDREN’S BOOKS, ESPECIALLY FROM COMMUNITIES OF COLOR!!! I want to begin by shouting that out BIG AND BOLD! I knew what I would find when I began researching LGBTQI children’s literature to include in my Heart of It/Creating Children’s Books That Matter eCourse’s ever expanding library. *Every time I teach my class on writing and illustrating children’s books, I bring in new interviews and book reviews as reference materials and inspiration. Focusing on communities that are under or misrepresented in children’s books allows us to learn from each other while expanding our appreciation. My last course was African American children’s literature and Spring 2016 will be Native American children’s literature. I’ve been around a long time. So I didn’t think to prepare myself. I just plunged in! It was sneaky silent at first. I looked at blogs and lists. I read the reference book. I went to the library, looked on our own bookshelf. Then it began. I started feeling funky. Back ground funky at first. As far as a nonfiction children’s book about a lesbian? I did find ONE, sorta. Thanks to a very awesome and diligent librarian’s work for the reference book, Rainbow Family Collections. In an autobiographical picture book published in 1981, the award winning illustrator vaguely acknowledges 3 significant relationships with women in her life. It just kept hitting me. One. Just. One. No Bayard Rustin. No Audre Lorde. No Gloria Anzuldua. No Paula Gunn Allen. No James Baldwin. No Barbara Jordon. No Ma Rainy. No Sylvester. No We’wha. No books that show kids historically who we are, who we can become, what we’ve done, where we can go, how we experience life. 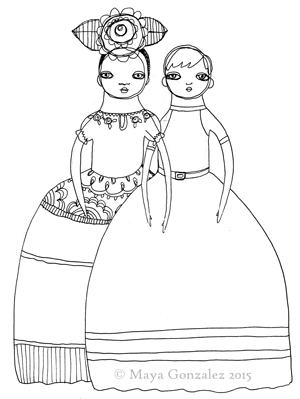 And what about the historical figures who are more commonly known, but whose LGBTQI identity has been invisibilized? Leonardo Da’Vinci. Michelangelo. President Buchanan. Walt Whitman. Oscar Wilde. Abraham Lincoln. Tennessee Williams. Eleanor Roosevelt. Hans Christain Anderson. And SO MANY more! I realized that out of necessity I’ve dulled some of my awareness with…it’s just the way things are. Best to accept it and move on. Once I got stuck in the funkiness though, the truth was all I could see. THIS IS THE WAY IT IS. I couldn’t help but think about the 7 transgender women of color who have lost or taken their lives just two months into 2015! One woman even here in SF. I want to be clear, there is not just a lack of relevant and meaningful reflection, it’s nearly a complete absence of reflection for LGBTQI children and families of color. It’s staggering. There are so few LGBTQI children’s books produced every year that they aren’t even included in diversity statistics. Sadly what I could find in abundance were statistics on bullying. As of 2015, there are approximately 4 million kids growing up LGBTQI in the US and approximately another 6 million with LGBTQI parents. Research shows that up to 9 out of 10 of these kids have been bullied for who they or their family members are. Race and LGBTQI identities are among the top 4 reasons for bullying and we know that these combined result in our country’s most at risk youth—transgender or gender creative children of color. 7 deaths in 2 months. I wish I had the mind right now to write something cohesive, insightful and compelling about the connections. I don’t. I’m too blown away. I just want to consider what would happen if things were different. 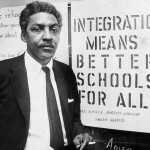 What would the impact be if the amazing activist Bayard Rustin was taught alongside Martin Luther King Jr? 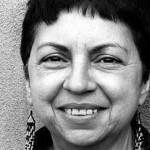 What would the impact be if the insightful writer Gloria Anzuldua’s Prietita and The Ghost Woman was coupled with E.B. White’s Charlotte’s Web? What would happen if the lessons included teaching, in an age appropriate way, how Rustin and Anzuldua’s lives were impacted by homophobia? I find myself thinking about our LGBTQI kids and families of color seeing themselves possibly for the first time in a book! 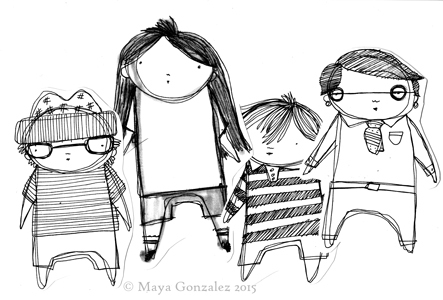 But equally I find myself thinking about the kids and families who are not LGBTQI. It’s just as important for them to see positive reflections of LGBTQI kids and families of color. Misconceptions still abound. It wasn’t until 1986 that homosexuality was officially removed entirely as a mental disorder and being transgender was changed from a disorder to dysphoria in 2012. I considered closing with my dismay over Arkansas’s anti-gay law that just got on the books and how Texas is considering following suit to illustrate how seriously we need children’s books in the face of legally sanctioned discrimination in 2015! But instead I’m going to close with what I found while I was writing this blog post. 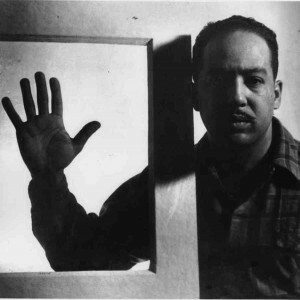 as I was writing I thought of Langston Hughes and wondered if there was a children’s book about him. I am still smiling about what I just found. 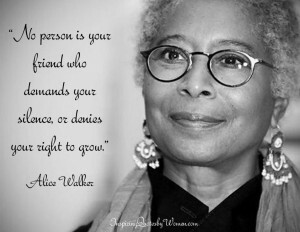 Alice Walker wrote one! Reminding me of how many of us code our experience into our work. It is not explicit that a woman who has had lesbian relationships is writing about a gay man. No. A great writer of our time is honoring the childhood of a great poet who reflected her within the context of their shared culture as African Americans, and quite possibly their common homosexual experience. Not everyone will see this last part. But there will be those of us who do. It’s a secret language, like a passing glance. It’s a way to send out a message of hope and support to others through the distance and the haze of homophobia and transphobia. This is how we have kept ourselves ourselves whether or not LGBTQI people are explicitly reflected in the world around us. We have always endured. I know we always will. I am grateful for those sideways glances, the messages sent out through time, but I don’t want to endure anymore. I want to shout! LOUD AND CLEAR. BIG AND BOLD. We are here! Right here. We have always been here. It is time to see us. It is time for us to be seen. Speak, write, paint, share! 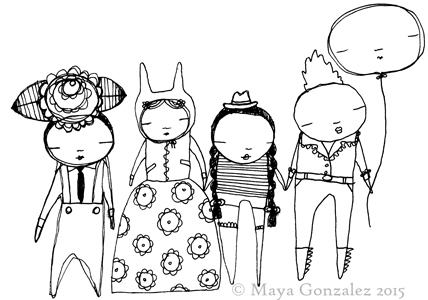 All of us need all of our stories! The Heart of It course and the LGBTQI focus are valuable to EVERYONE, but if you or anyone you know is LGBTQI+ and have any thought about creating children’s books, PLEASE TAKE ACTION NOW! Dig deep! Reach out! Encourage! Acknowledge! Support! Point folks in my direction! 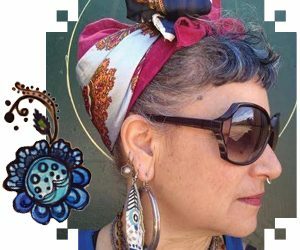 As a QUEER CHICANA and a children’s book artistauthor I know this terrain personally. I know the heart of this more than anything else in my life! Scholarships and payment plans are available! Publishing opportunities! Relevant mentorship! The revolution is always NOW! WE, THE PEOPLE HAVE THE POWER TO CREATE CHANGE!!! You can go here to see the press release about the course–PLEASE SHARE WIDELY with any relevant group or individuals you know!